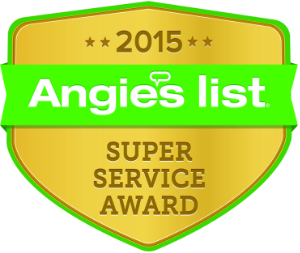 (Winchester, Ky.) -- Superior Home Improvements is proud to announce it has been awarded the 2015 Super Service Award for Siding by Angie's List. (Winchester, Ky.)--Superior Home Improvements owner Vinnie Gonzalez was interviewed by writers of Smoke Signals, the monthly newspaper created by students of George Rogers Clark High School, for its May, 2013 Career Connections segment. VG: As the owner of Superior Home Improvements, my job is to manage all of the company’s internal and external operations. Alongside coordinating an ongoing list of construction and building projects throughout Central Kentucky, it is my duty to ensure that the “Behind the Scenes” departments, such as sales, marketing, finance, product development, community relations and quality assurance are effective, efficient and continually improving. SS: What type of schooling is required for your job? VG: In most cases, a Bachelor's Degree in Construction Management is a surefire way to land an entry level position in the industry; however, this is not to say that other degrees won’t lead you here. Right now, I have members of my staff with degrees ranging everywhere from General Business and Advertising to Finance and Philosophy. Others, simply, are highly experienced in the field of construction. If you’re a motivated, diligent worker with a business mindset and a willingness to learn and develop skills, you can find success in construction management. SS: What do you consider the best part of your job? VG: While there are many, many great parts of my job, I’d say that I most enjoy driving by locations where I’ve completed projects in the past and seeing that they’re still looking great. Every now and then, I’ll drive by a home and think to myself, “I remember installing that roof in 1998” or “We built that deck the year my son was born.” Seeing the homes and buildings throughout Central Kentucky that we have built, remodeled and improved--and remembering each detail vividly--makes me think that what we do is important. That’s what I truly love about my job. SS: What do you consider the most challenging part of your job? VG: My number one priority at Superior Home Improvements is to satisfy my customers. 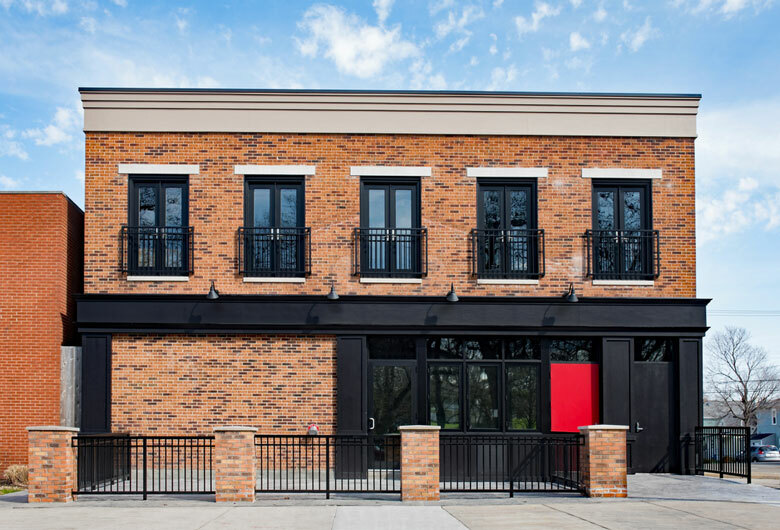 In order to continually make this happen, I need to incorporate the latest product developments, building methods, technology and environmental concerns into my projects to ensure that they’re delivered quickly, and with a performance of the utmost quality. While the outcome is certainly worth it, staying up-to-date on these matters requires a lot of time, meetings and careful research. SS: If a high school student were interested in your field of work, what classes would you recommend him/her taking? VG: Like any field of business, a hands-on, diverse listing of skills and experiences is invaluable, so I would recommend taking any variation of a “Shop” class, such as Woodworking/Carpentry, Metals/Welding or Computer Aided-Design (CAD) for engineering and building purposes. I would also supplement these with business courses, such as management, marketing or accounting. This way, students can learn the field from several viewpoints, and they can discover the specific aspects in which they’re most interested. SS: What are the average earnings of someone in your profession in Kentucky? VG: In most cases, entry level careers in construction management offer a comfortable salary with benefits, as well as a variety of sales commissions and bonuses; however, specific figures often vary based on factors such as a company’s size, location, reputation, specialties and the benefits it offers its employees. Also, candidates with more academic experience and professional skills will typically be offered higher figures than others. Construction management is a safe industry, but, like any other, the true go-getters are the ones who often find themselves achieving greater successes. (Winchester, Ky.)--Superior Home Improvements attended the 7th-annual Run for the Glitz Friday, a community event developed to raise money for the Bluegrass Community & Technical College of Winchester, Ky. The event, which gathered a record-breaking audience of more than 400 attendees, included a full-course dinner, silent and live auctions, live musical entertainment from local "celebrities" and a (now-infamous) dance session to close out the evening. Following the event, earnings were donated to the Bluegrass Community & Technical College in an effort to fund campus and academic development. 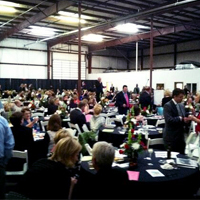 Last year's event raised more than $50,000. "Each year, we're proud to attend the Run for the Glitz," said Vinnie Gonzalez, owner of Superior Home Improvements. "We're dedicated to showing continual support to the Bluegrass Community & Technical College through every opportunity available." 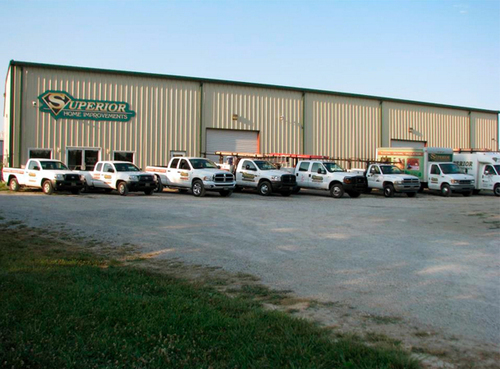 To learn more about the work Superior Home Improvements is doing for the community, click here. To view photos from the event, click here.